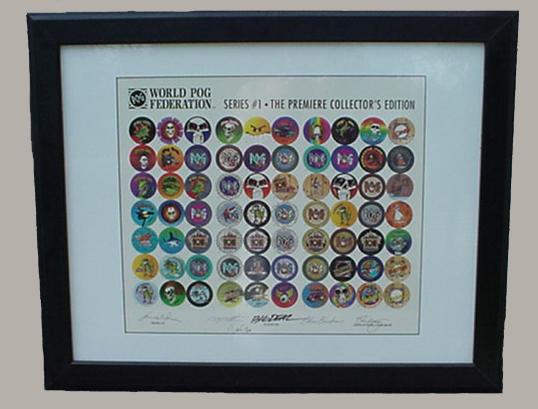 Thanks to Shorty who supplied the info and images of this, the Premiere Collector's Edition of POG Series 1. 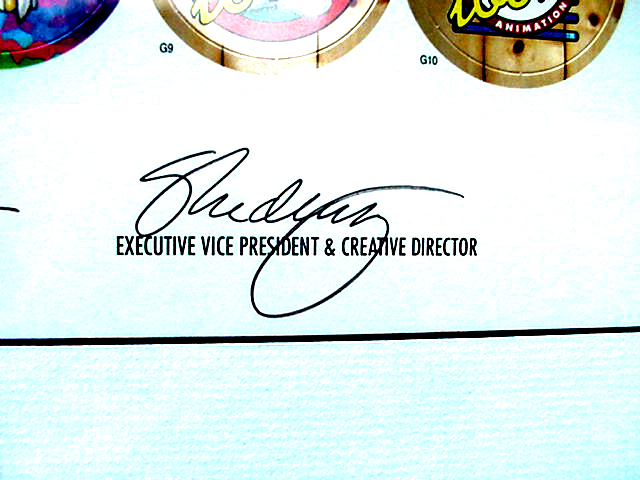 It consists of a pre-cut card sheet printed with the 70 designs of Pog Pourri Series 1, and is signed at the bottom by the CEO and creative team of the World POG Federation. 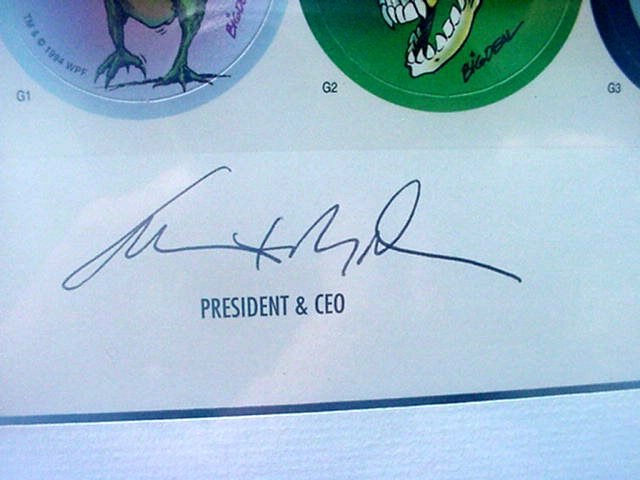 It was purchased on November 3, 1994 for $115.00 US from a framing store. 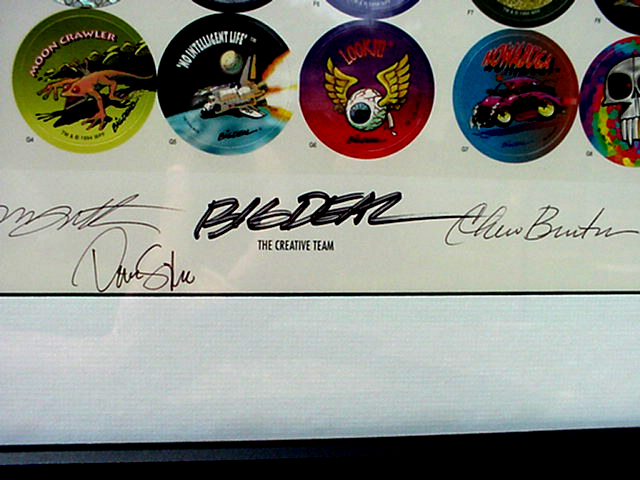 The dimensions of the frame are 81cm x 65cm, a nice item to have hanging on your wall!